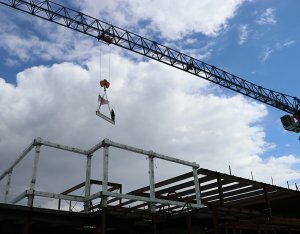 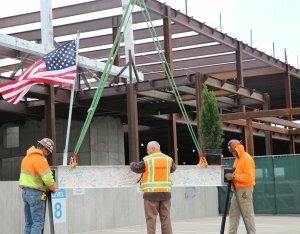 Levine Cancer Institute expansion tops out - Rodgers Builders, Inc.
Carolina Medical Center’s Levine Cancer Institute expansion in Charlotte, North Carolina reached a milestone this week as Rodgers, craftworkers and hospital staff celebrated the placement of the final piece of steel. 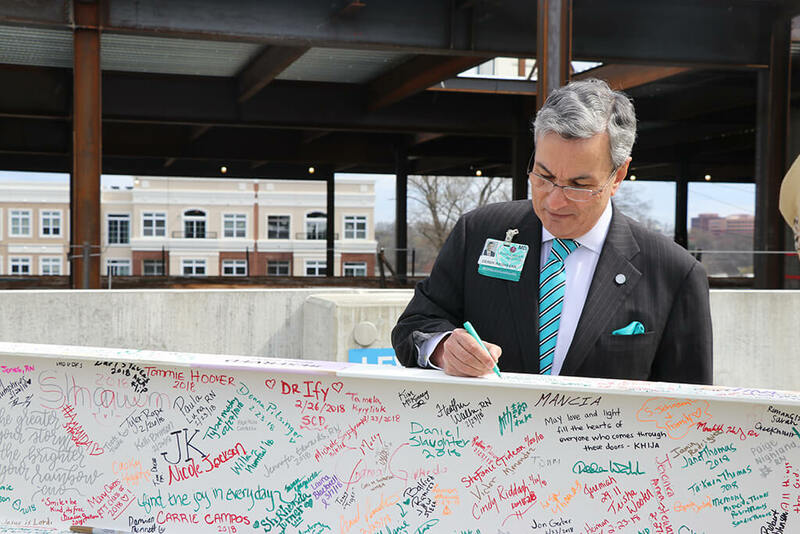 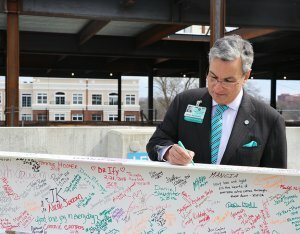 Prior to the event, the beam was placed in the lobby of the hospital, giving staff and patients an opportunity to sign their names. 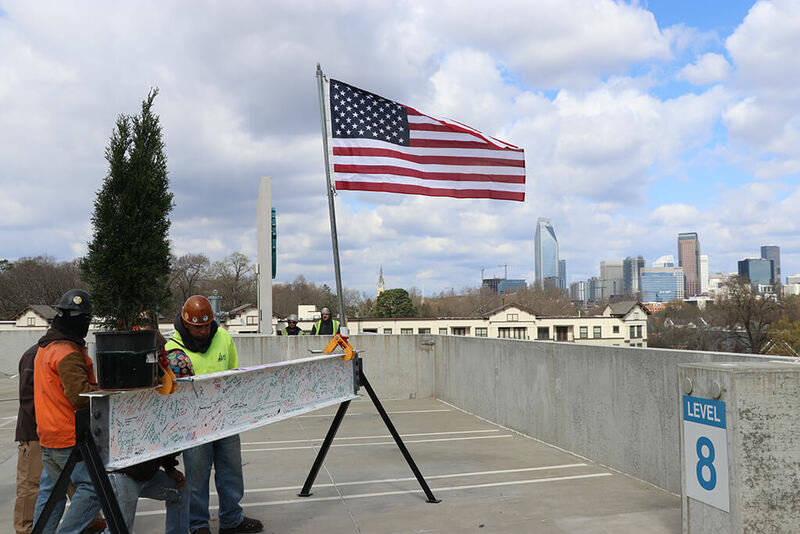 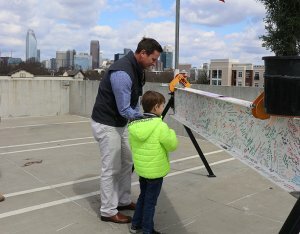 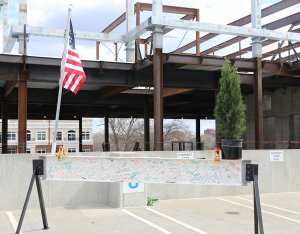 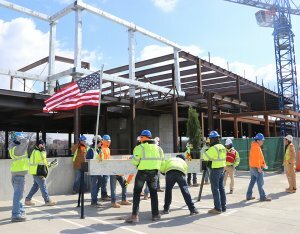 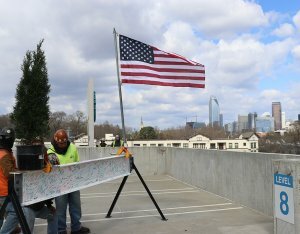 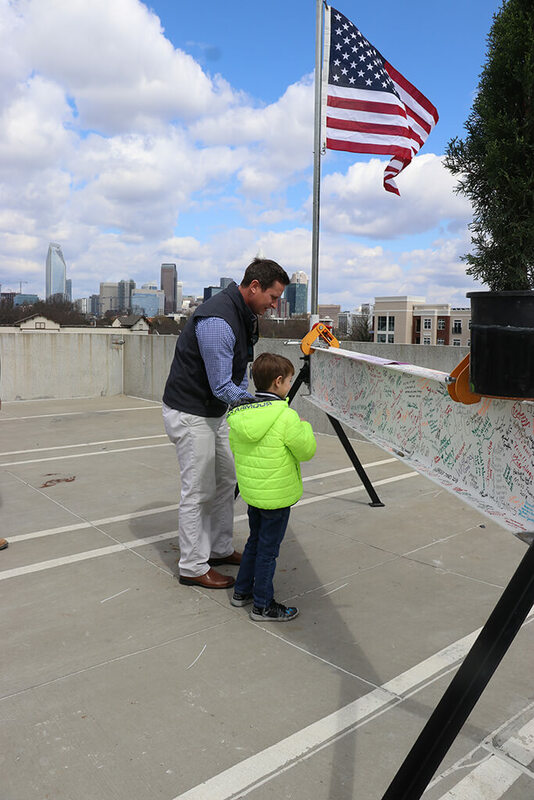 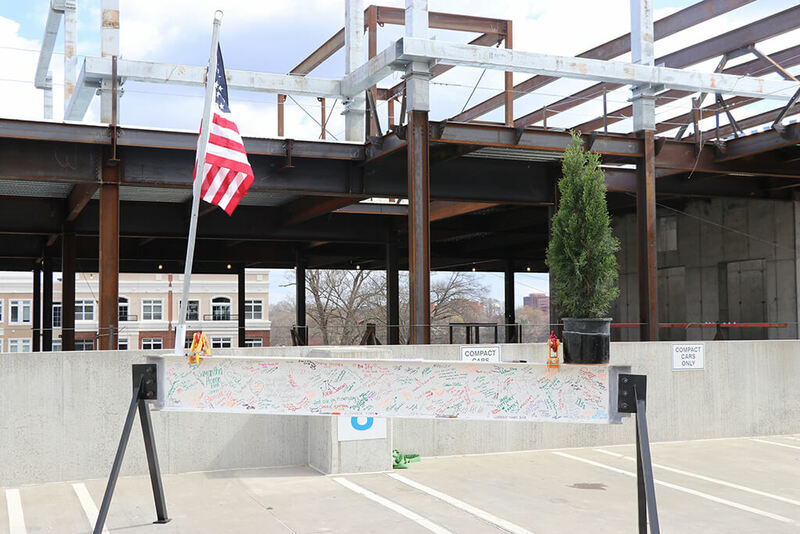 Guests at the topping out ceremony were also invited to sign the beam before it was hoisted into place by a crane, adorned with an American flag and evergreen tree. 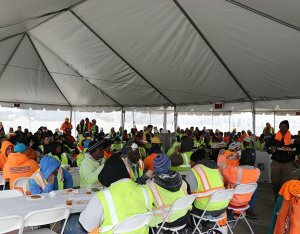 The event was made extra special by an unexpected snowfall during lunch. 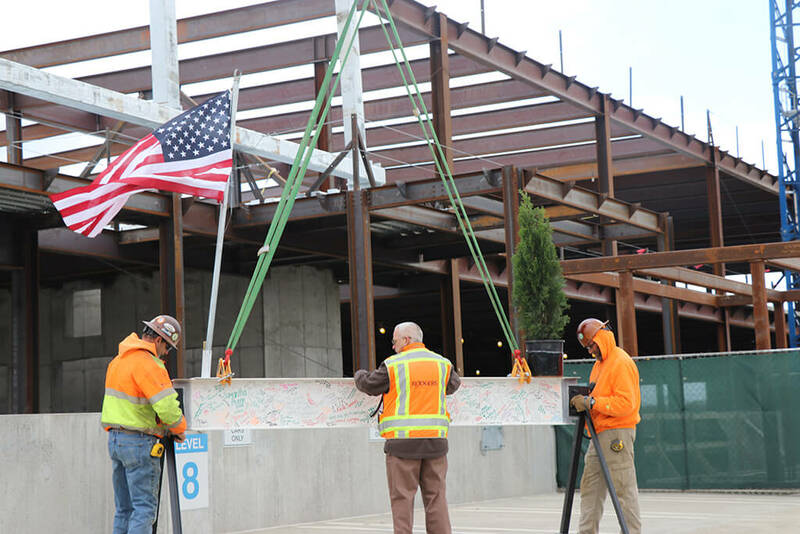 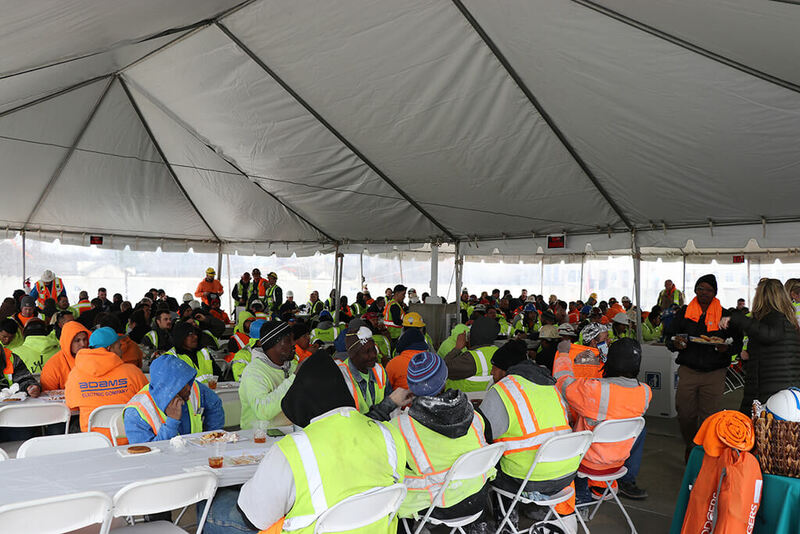 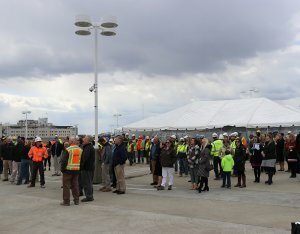 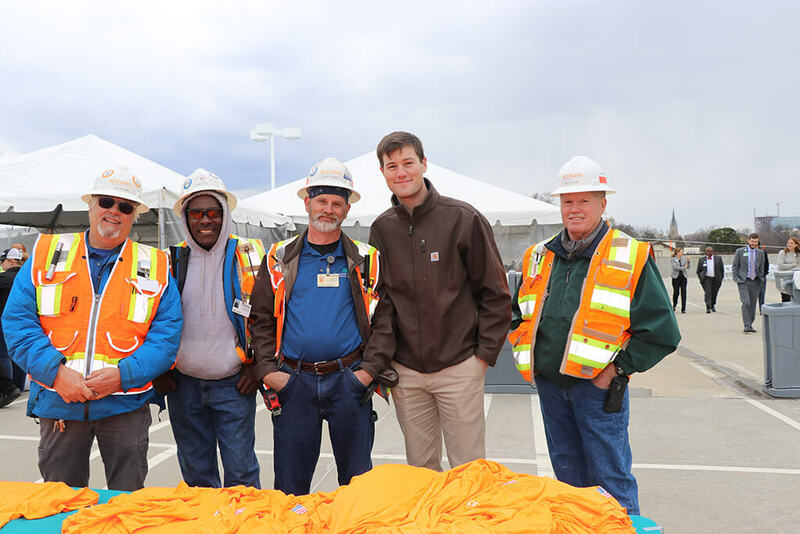 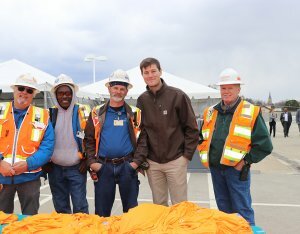 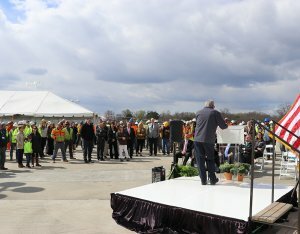 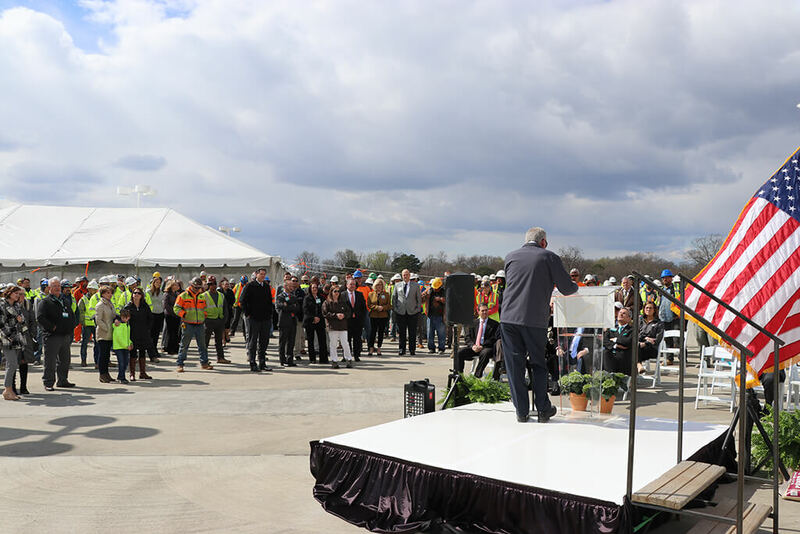 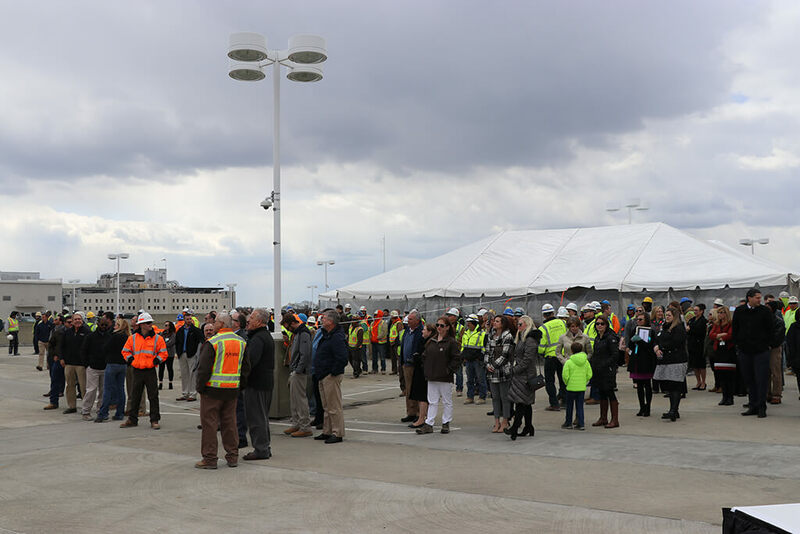 The topping out ceremony celebrated the hard work and time spent by subcontractors and craftworkers to safely complete the steel phase of construction. 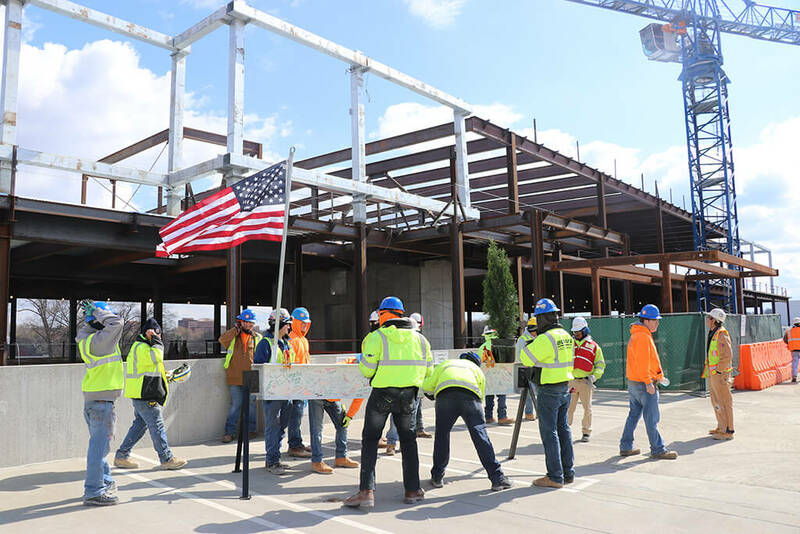 To date, workers have erected 1,500 tons of structural steel, poured 7,500 cubic yards of concrete and recycled 430,000 pounds of concrete from demolition activities. 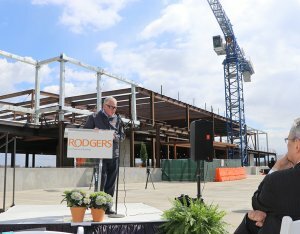 The expansion will consist of a new seven-story cancer treatment facility totaling over 300,000 square feet. 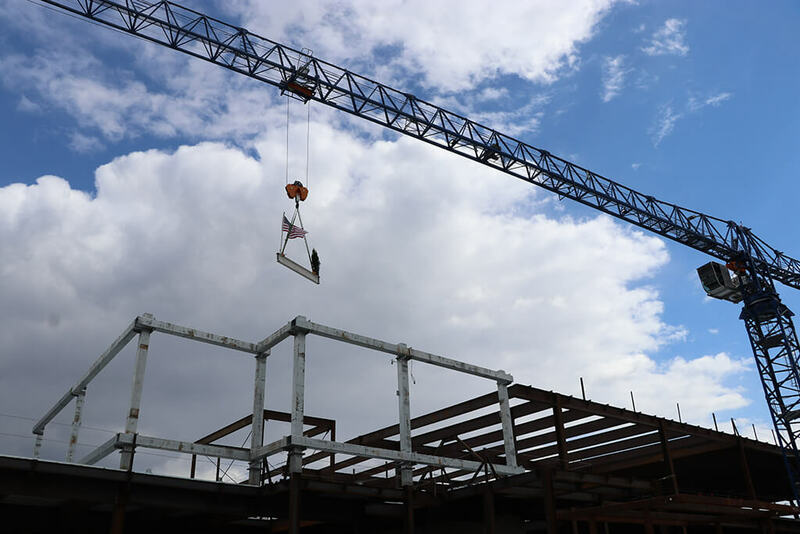 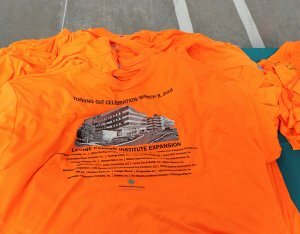 The institute will include translational labs, a thoracic clinic, apheresis hematologic oncology clinic, gastrointestinal oncology clinic, psychiatry, palliative care, rehabilitation, infusion clinic, pharmacy and a survivorship clinic. 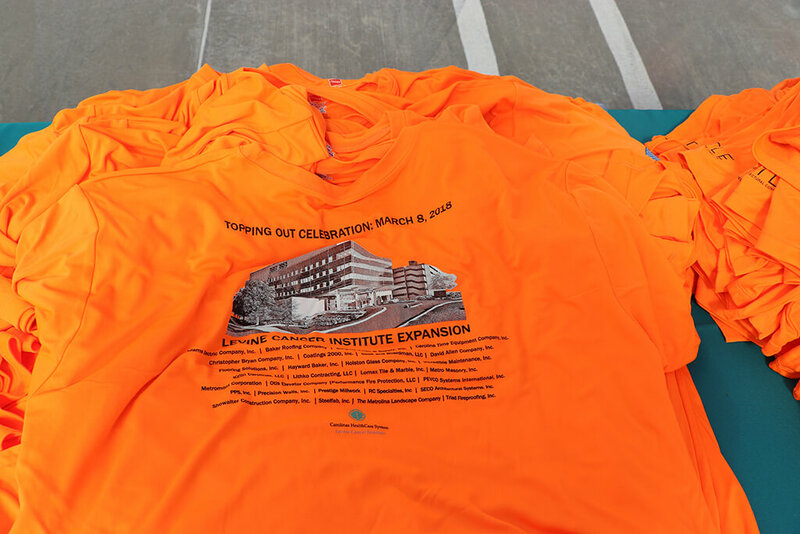 The expansion marks the second phase of development for Levine Cancer Institute. 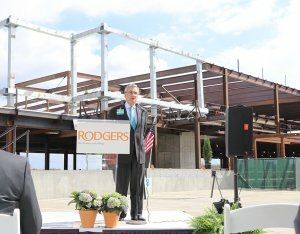 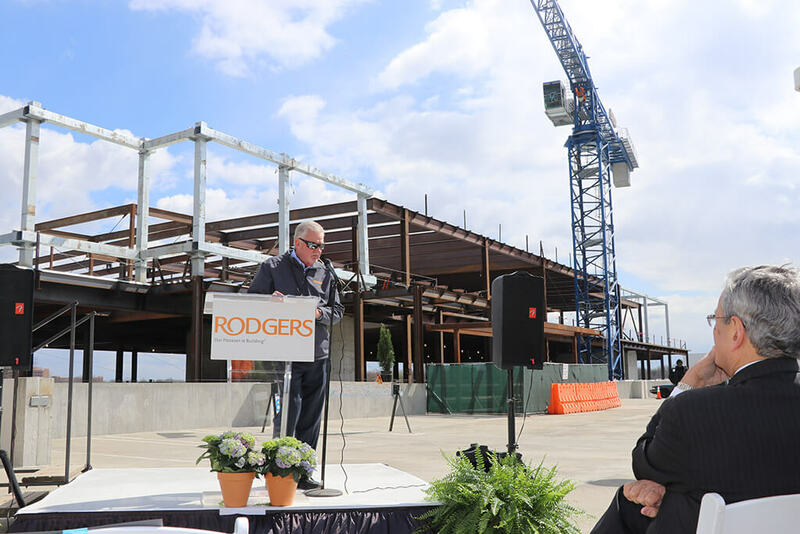 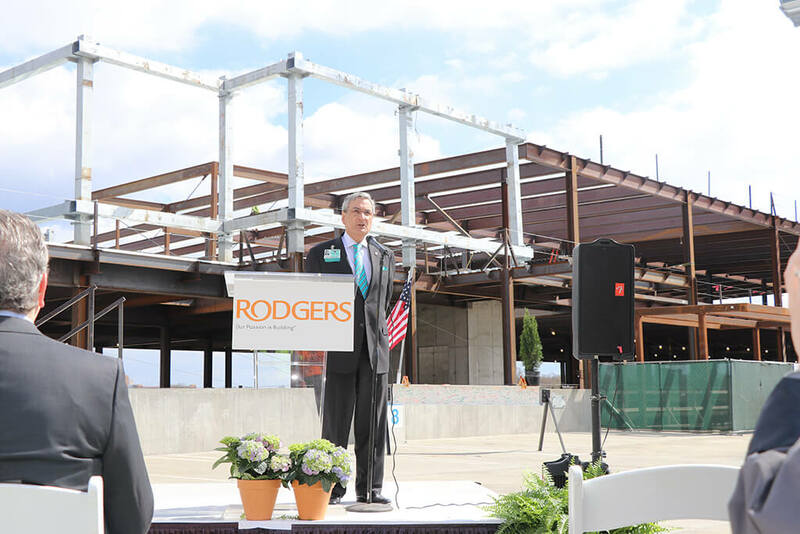 Rodgers completed the first phase in 2012, which consisted of a five-level vertical expansion which houses the institute’s research headquarters, nine cancer clinics, an outdoor healing garden, conference center and a genetics, survivorship and wellness center.